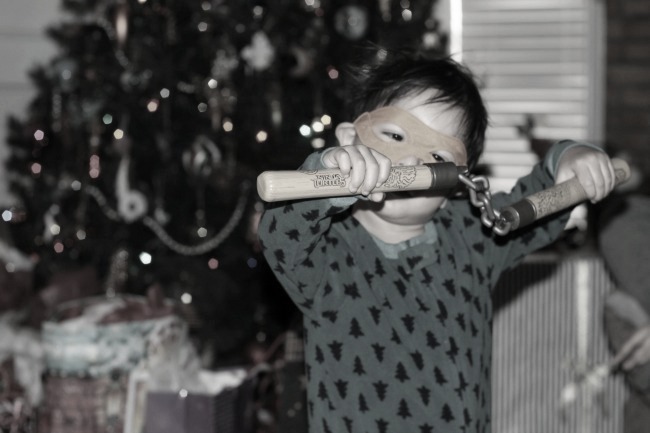 Our Christmas traditions are a little different than most people. We start our Christmas celebration on the 24th. 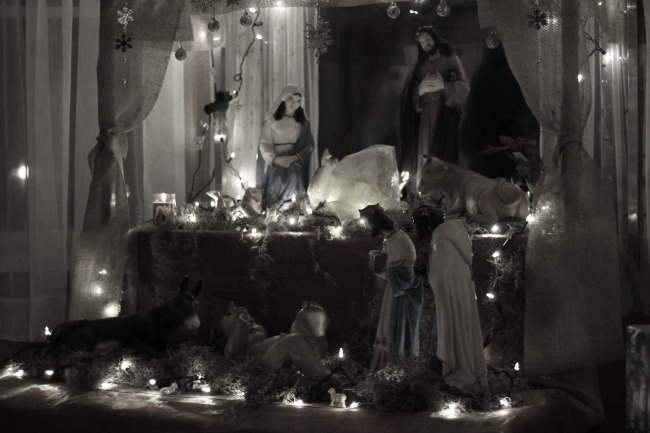 We stay up until midnight to pray and sing in front of our nativity. Shortly after we let all the kiddos open their gifts.This year everything was done after midnight. I don't think we even ate until two in the morning. Regardless, everything turned out beautiful. Only a few more shopping days left! We started shopping early this year and we got most gifts out of the way. We still have a few gifts left because we all know I am a horrible procrastinator. Evan and all of the other kiddos were so easy to shop for. 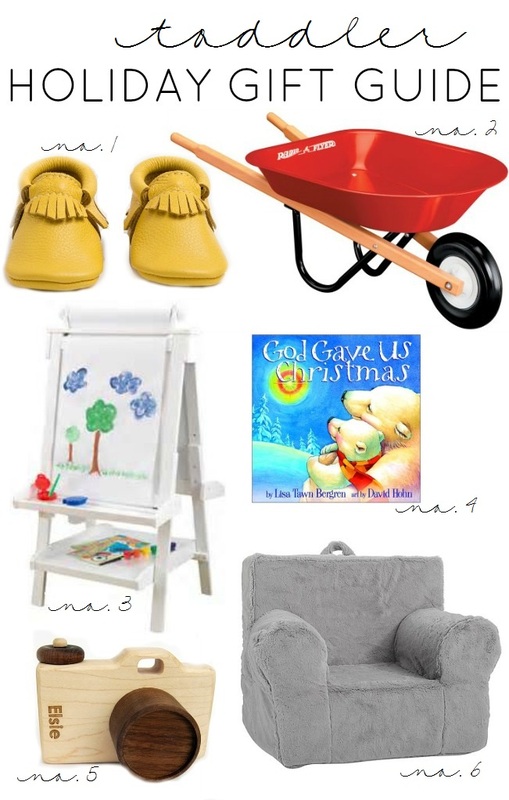 I absolutely love shopping for kids, and I put together a toddler friendly Holiday Gift Guide. 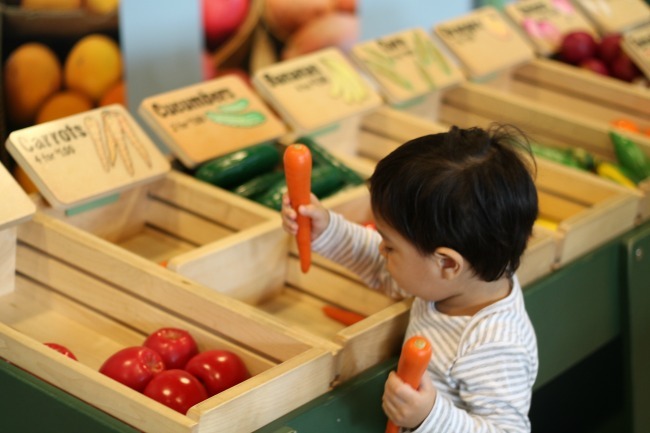 All of these items will surely make any toddler happy. I hope you guys have all of your Christmas shopping done, but if you still need last minute ideas, I hope this gift guide helps. Make sure to leave any other ideas down below! 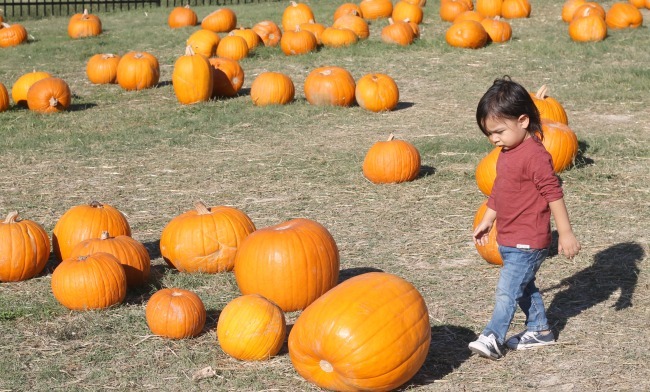 There are endless activities to do in Dallas. I love discovering new places. It's so neat to go exploring with Evan. 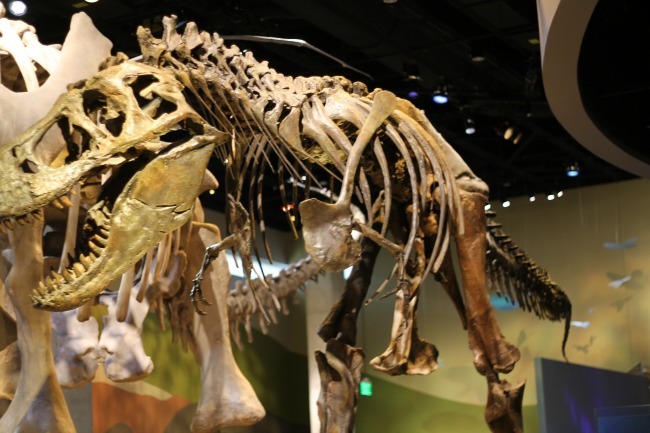 We recently took a trip to The Perot Museum. I heard so many positive comments about it, and given the opportunity, I immediately knew this would be a cool place to check out. 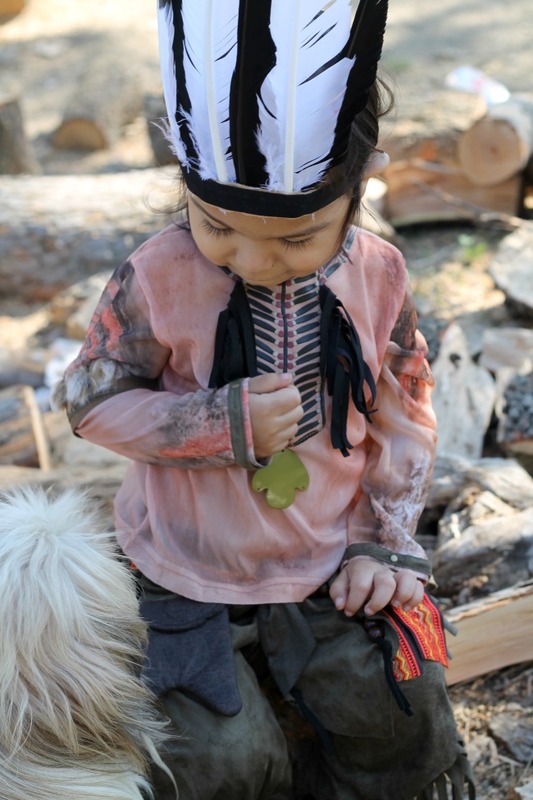 Even though Evan is only two, I knew that walking around and learning new things with him would be so much fun. 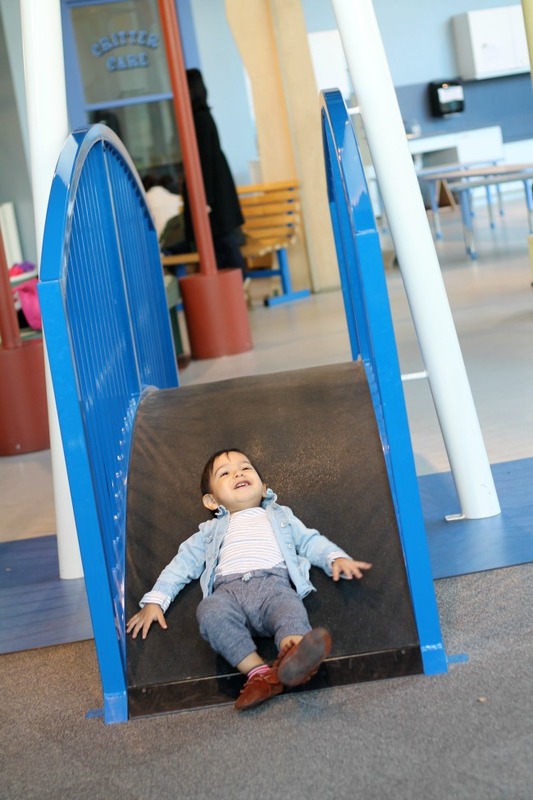 We checked out the Children's Museum first, which took up a lot of our time because the kiddos LOVED it. I had to carry Evan out while throwing a huge fit. 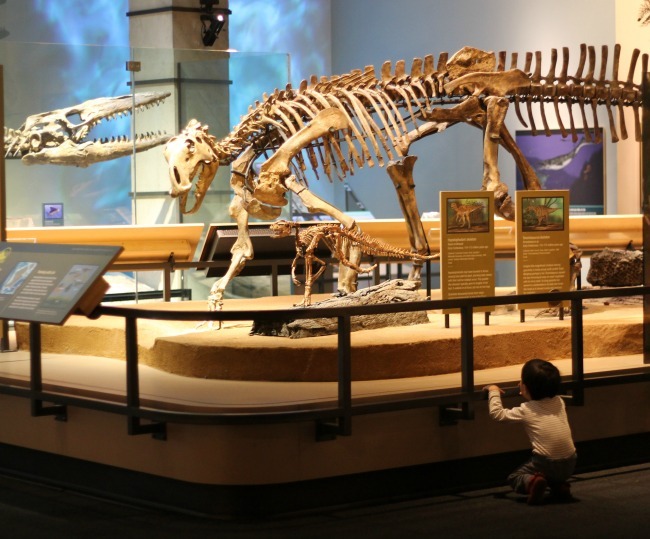 Luckily, the Perot Museum has plenty of things to keep a child entertained. 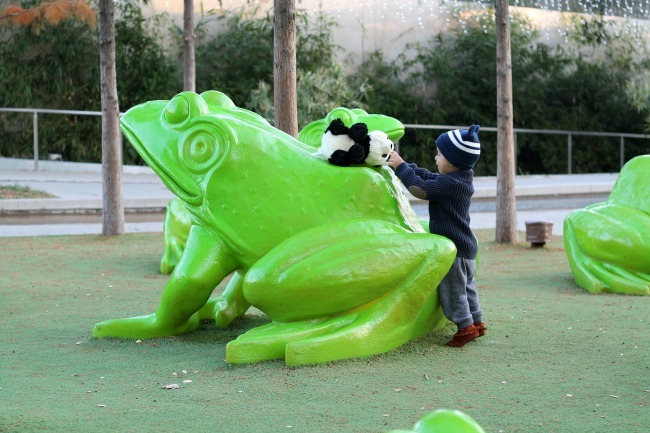 Shortly after, we headed to watch a film on Pandas. I was a bit hesitant because I have a two year old. Right? (they are NEVER still) To my surprise, he sat thru pretty much the entire film. He continuously shouted out "Kung Fu Panda." We worked our way from bottom to top, because we wanted to save the best for last. As we explored each floor I was highly impressed with how interactive this museum is. 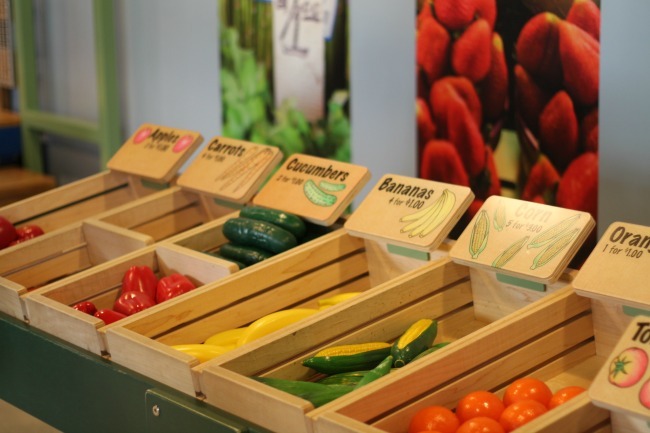 Every exhibit is full of things for both children and adults to do, see and learn. We were there for several hours and still didn't get to see everything. 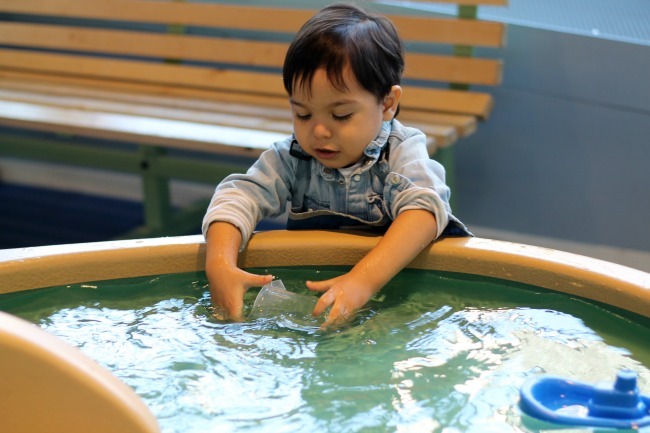 The Dinasours and the Children's Museum were two of our favorites. You will find so much here. 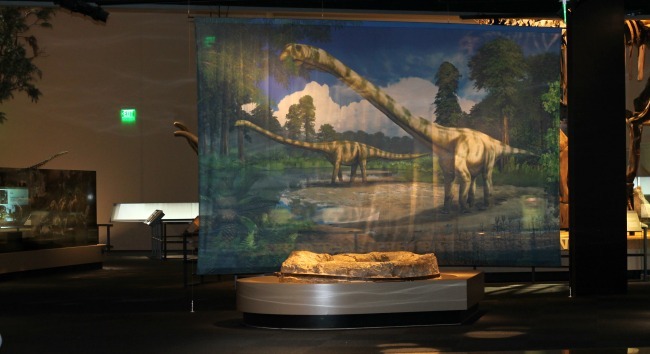 You will learn about Dinosaurs, outer space, the human body and so much more. If you haven't checked it out yet plan a trip soon. Christmas vacations are coming up and this would be a great activity to do with the family. We will be planning another trip very soon. 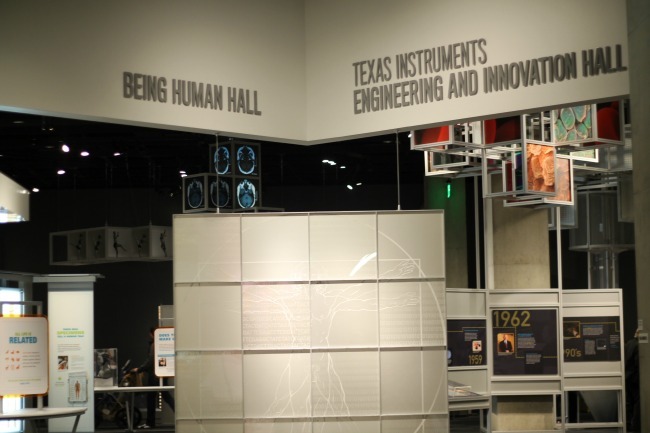 Thank you Perot Museum for such a wonderful experience! Happy 2nd Birthday! After this trip Evan is officially obsessed with Pandas and Dinasours! My little boy turns two this Sunday. Another year flew by and we have made so many beautiful memories. 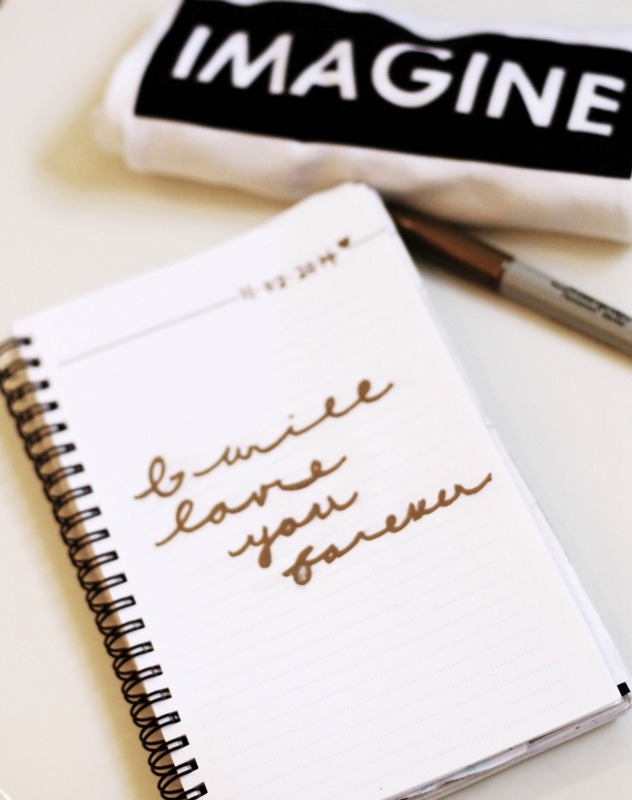 However, I never want to forget anything. Is that possible? I finally figured out a way to jot down every little detail. Something I can share with him when he's older that we will both enjoy. A few months ago I decided I would write down all of his accomplishments, my thoughts and my feelings in this little notebook of mine. I started monthly updates on my blog to go back and reminisce on Evan's growth, but I also wanted something a little more personal. 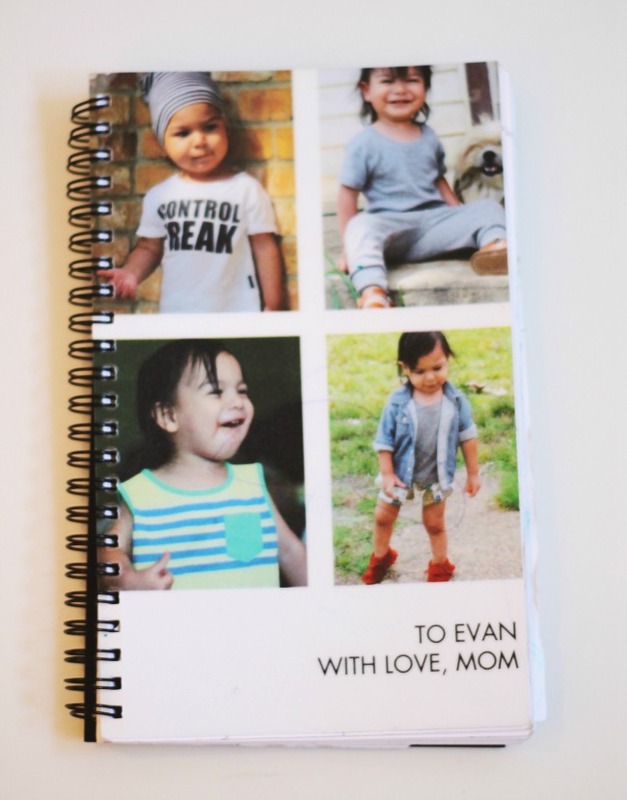 A personal journal where I can write down feelings and moments that only Evan and I share. I have been doodling and writing everything on this notebook that one day Evan will appreciate. With Evan's birthday around the corner I have been venting and writing down all these bittersweet feelings. It's helping me get through his SECOND birthday. My baby is getting older, but he will always be my baby. Thank you Tiny Prints for such a wonderful gift! Ahhh, the much anticipated second birthday is right around the corner. The second birthday of many more to come... While his birthday party is still in the works, I knew I wanted to start celebrating a little early with all of you. 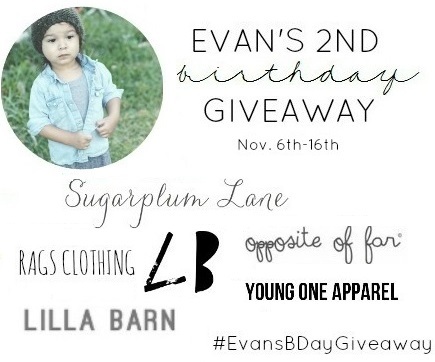 In honor of Evan's SECOND Birthday I have partnered up with six amazing shops. 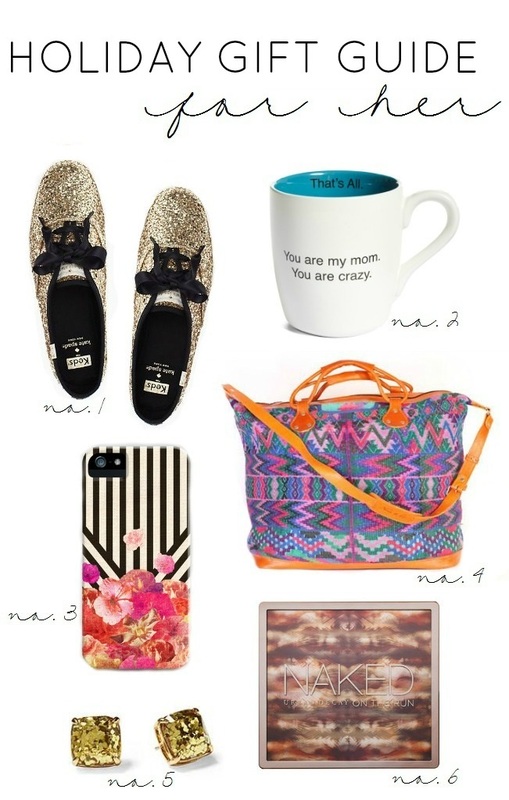 I am so thrilled about this giveaway because it includes our top favorite shops. I wanted this giveaway to be extra simple. Only a few rules and one lucky winner wins all. Good Luck! Becoming a mom for the first time is such a joy! A little bundle of joy lands into your arms to give you the feelings of motherhood, which you have never experienced before. On the other side, many moms struggle in the initial days of their motherhood due to the sleepless nights and tiring days gifted by their newborn. And between all this, they have no time to look after themselves. Their infant becomes their priority while they start neglecting themselves. Thus, how they end up looking everyday makes them hate themselves. We want this blessing to remain a blessing, by making women remain satisfied with their looks as mothers. So, we brought a few good advices for new mommies. 1. A fresh look counts. Your face is the most important part of your appearance. For that you need to make sure that your eyebrows are well-shaped and you are not growing any extra hair on your face. After that, you need to know that which makeup essentials give you that instantly fresh look. For some a face powder, mascara and a lip gloss or tinted balm work wonders. And it doesn’t even take hours. These are the easiest things to work with, but you can go for things like BB cream, which works well for your skin type and skin tone. Keep it simple and fresh. And yes, your smile really counts. Make sure that you are keeping it white and bright. Teeth whitening strips might help you with it as getting over to the dentist is something you can only dream of now. Get the guts to carry something like a pixie haircut, as it is one of the hairstyles that will work for you even if you haven’t combed your hairs after waking up. Plus, drying away such hairs does not need anytime, even the air can do that for you. If you think that pixie cut is not your type and is rather a bold choice, then you should better be friends with a dry shampoo, it can definitely be your savior through bad hair days. And you can also go for hairstyles such as messy buns which look really stylish if you carry them right. Don’t try to fit into the clothes you used to wear during pregnancy, they will probably won’t fit. After becoming a mother your choices should be large and slouchy shirts. Large shirts need not to be making you look out of shape, like your husband’s shirt. You should instead go for a semi-fitted tops; fitted on top and loose at your belly. They will give a beautiful shape to your upper body. Plus, don’t forget to have some u-shaped and V-shaped necks and off-shoulder tops. These little things can make people attracted to your shoulders rather than your belly. And as for slouchy shirts, they are best for breastfeeding and look amazing with everything from pants to skirts whether tucked in or out. Once you are done with selecting the perfect-fit tops for yourself, you would have started wondering about the bottoms. Well, you have plenty of amazing options like stretchable pants (leggings and jeggings) and skirts with stretchable waistbands. But don’t forget your denim jeans and slouchy pants, which can serve you equally well. Such pants are perfect for your relaxed yet stylish look. Celebrities are living inspirations and we should try to follow them where we can enhance our looks. One our most favorite celebrity moms is Kate Middleton. All her looks are unforgettable, and she looked stunning even with that baby bump. I know you don’t have the budget for clothes as her’s. Therefore, I want you to follow the trends that she has set for us. She usually goes for clothes which are in the neutral tones, she also wore some trending coats and she believes in adding hats to her entire look. Hats might seem something royal, but they are just there to make things prettier. Steal this attractive mommy look from Kate Middleton and other mommies from the celeb-world. Accessorizing can do the wonders for you which you can hardly think of. Accessories are a mom’s best friend. With just the addition of a belt at your waist you can look really smart. 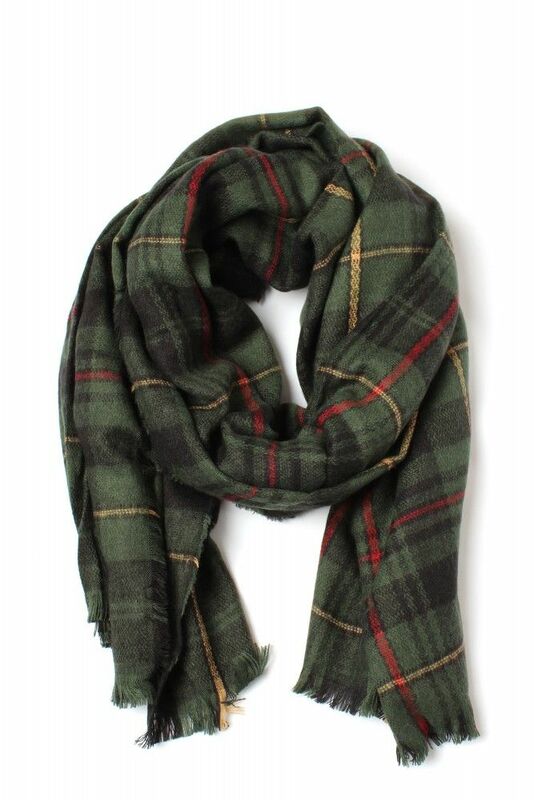 Meanwhile, getting an all-rounder flannel scarf and wrapping it around your neck is one of the tricks women do for not making their bump appear prominently. And above all, a statement jewelry piece is always there to complete your look. And yes, big trending bags can work well to keep baby’s stuff in them. If you think that it is just one of your bad days and whatever you do, you are not going to look great than this trick is definitely going to work. 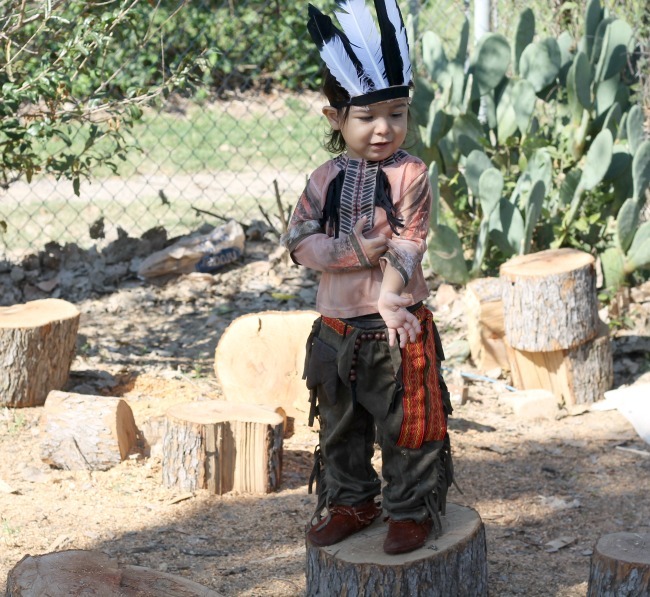 Dress up your baby so well that everyone remains attracted to his cuteness. Attention divided between two and with your infant getting the most of it, can prevent you from being too conscious about your looks. Nothing beats the confidence one possess. Whatever you wear, carry it with the confidence that it is the best possible look you could get today. Confidence has the power to make everything way more attractive. So hit on it. 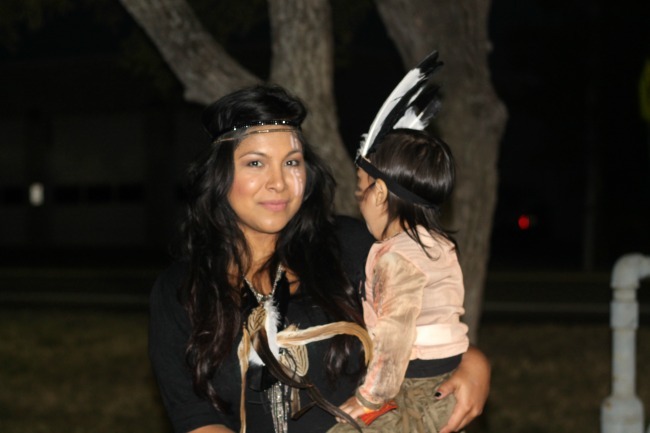 Following these advices can help you look like a super-stylish mom! Sarah is a content writer for Sophie & Trey, an online clothing store for women. Featuring a large variety of dresses, shoes, jewelry and other women’s accessories. Like us on Facebook to stay updated with our latest deals and sales. Thank you Sarah for being a guest blogger this week! I think all mothers can learn from your wonderful advice. 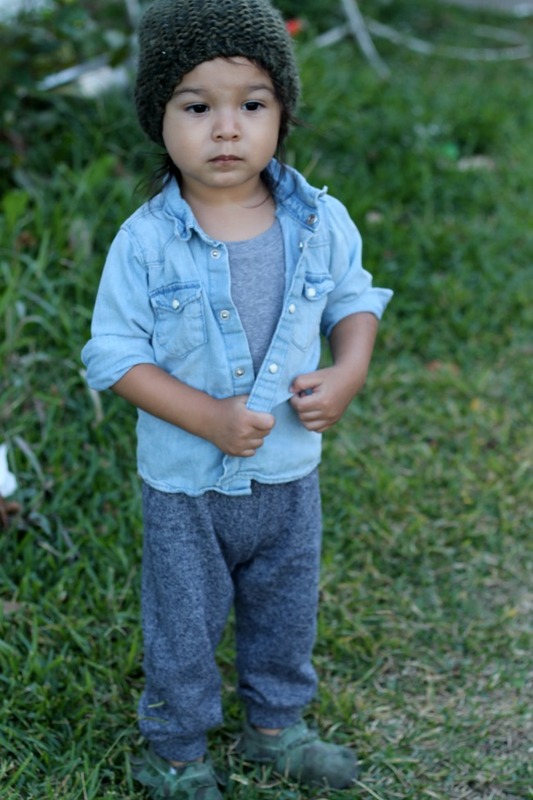 Disclaimer: This is part of a sponsored collaboration with Latina Mom Bloggers and Dreft. All opinions are 100% mine. 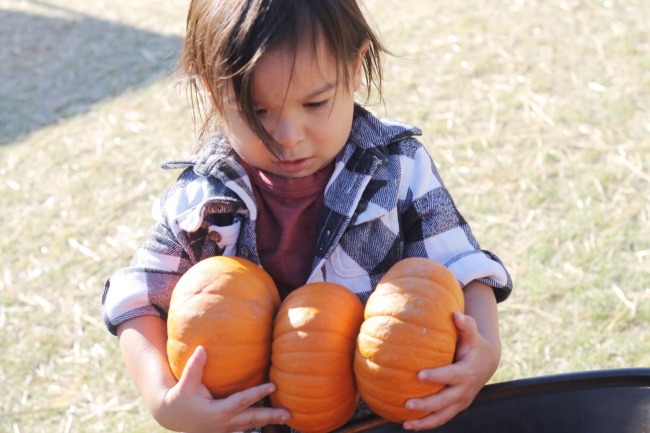 Around 5 months Evan experienced a severe rash all over his body. As a first time mom I totally freaked out. I immediately googled the possibilities, which was probably the worst idea. I panicked and set up an appointment for Evan. Luckily, I learned that it wasn't anything dangerous and was common in a lot of babies. Evan just had sensitive skin. The soaps, lotions and detergents I was using were causing the rash. His skin wouldn't tolerate anything with a harsh odor or non organic. This is when I began researching all products and ingredients before purchasing anything. This is also when I turned to Dreft. Around that time I would change Evan multiple times and I was afraid that all baby detergents wouldn't remove stains or worse give him a rash. Dreft proved me wrong. As parents it is important for us to seek out hypoallergenic items that are gentle on baby's sensitive skin but tough on stains. 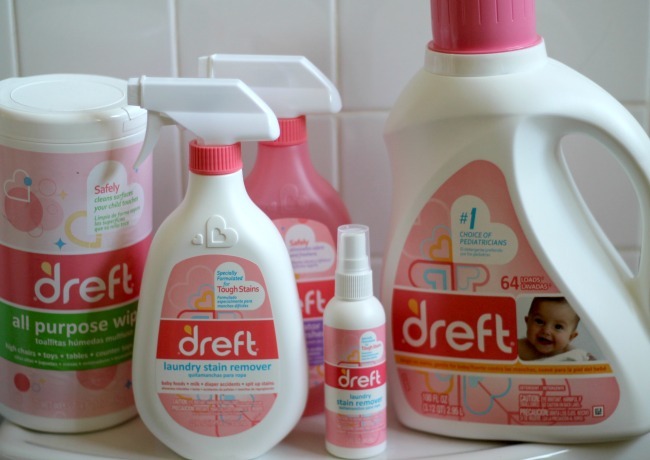 Until today I always choose Dreft. With Daylight Savings Time right around the corner, so too is the looming winter season. And as the temperature drops, parents are always looking for ways to keep baby warm, cozy and shielded from the harsh cold. Even though Evan is older now his skin is still sensitive. It makes me feel good knowing that I no longer have to worry about any rashes, especially during cold weather. 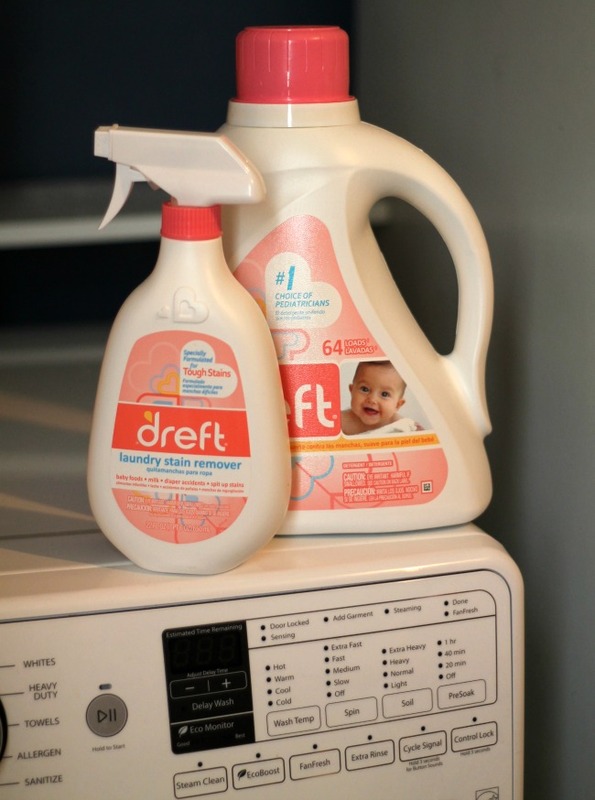 Evan's dirty clothes are worse now as a toddler, but Dreft manages to work it's magic and leave his clothes soft, smooth and smelling perfect. 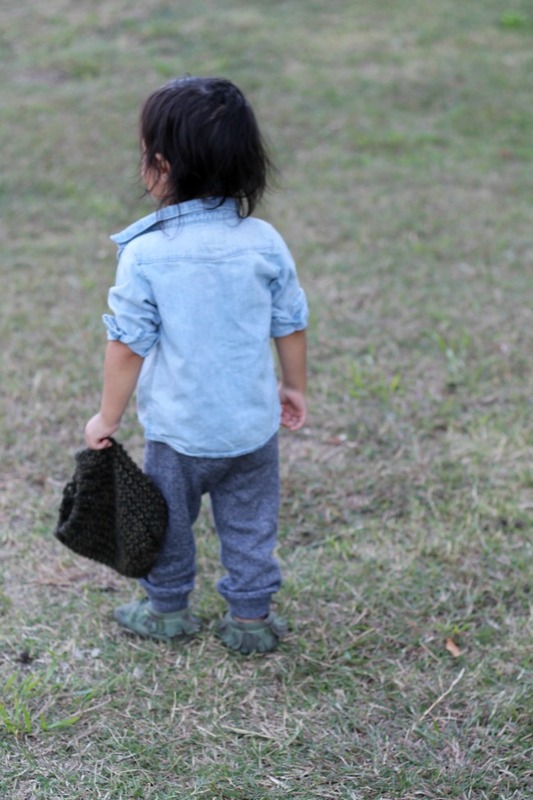 Dreft will bring cuddle time to a whole new level of warm and fuzzy this winter season. 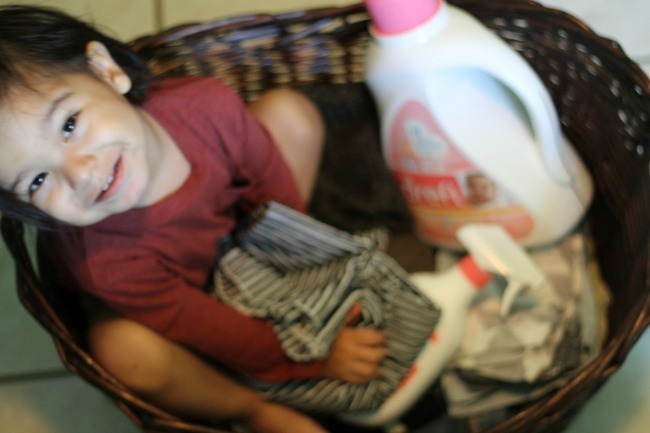 Evan absolutely loves rolling around and smelling his clean clothes all thanks to Dreft. I am not a fan of doing laundry, but when it comes to Evan's dirty clothes I never complain. Dreft has made laundry day very special. 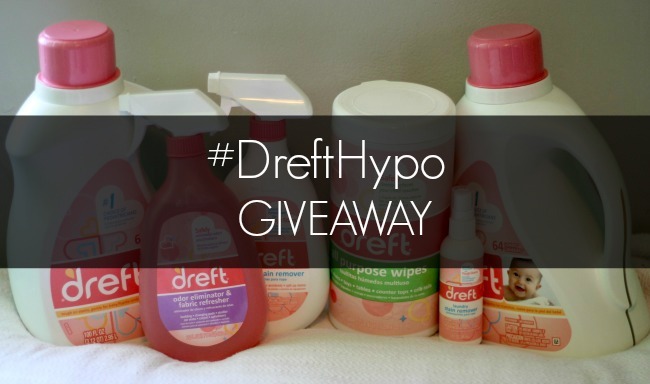 Heading over to Dreft.com to receive a $2 off coupon for Dreft products and give them a try! 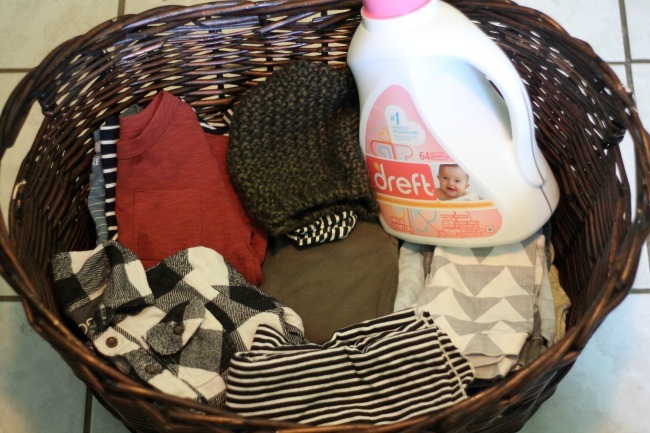 The wonderful people from Dreft would like to help keep those little ones in your home warm and help keep their clothes clean with the hypoallergenic products from Dreft, by giving one of my amazing readers their own Dreft Price Pack!!! Make sure to join in on the Twitter Party on October 30th from 9-10pm ET! To be eligible to win prizes, please RSVP at LatinaMomBloggers.com. For more info make sure to like Dreft on Facebook and follow them on Twitter. 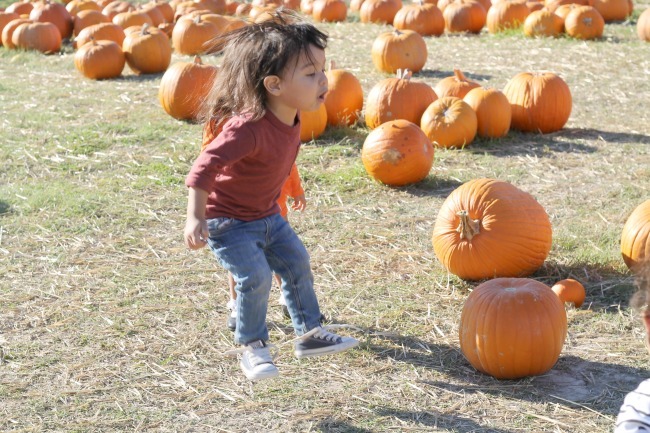 Evan turns TWO in exactly one month. I just can't believe how fast these past (almost) two years have gone. We have made so many beautiful memories in this last year it almost seems surreal that I will soon have a two year old. He's so smart, wild and silly. I can just imagine how much smarter and crazier he will become. 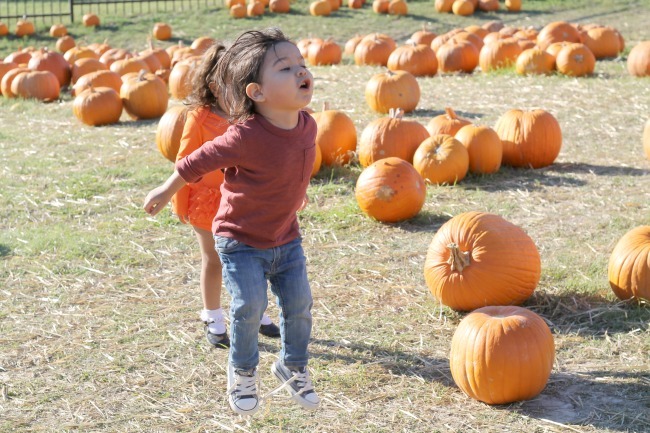 I hope this next year is full of amazing adventures and let the tantrums begin, I'm ready! HA! Growth: Unsure about weight and height, but I'm sure he's a little taller and gained a few pounds since his last check up. 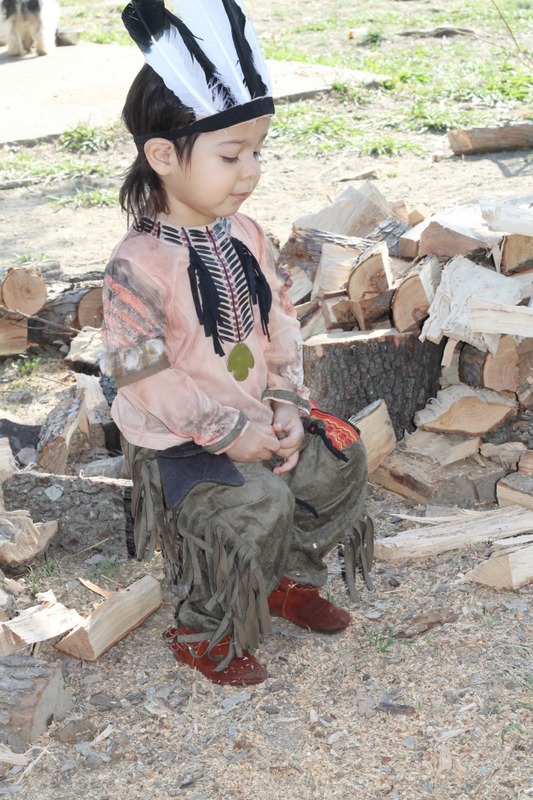 He is currently wearing 18-24 months and wearing size 6 in most shoes. Favorite Words & Other Milestones: His vocabulary expands and improves daily. He is starting to speak in sentences in both Spanish and English. If he's hungry or thirsty he immediately lets me know. If he wants or needs something I'll be the first to know. He sings the ABC song and know his vowels in Spanish. He mastered counting from 1-10 in English and Spanish. He knows most of his body parts, and we are currently working on shapes and colors because we focused on letters and numbers for a while. Favorite Foods: The past three months our diet has completely changed. We began eating all/mostly organic. Grass-fed meats, raw milk, raw butter, coconut oil, organic eggs and organic veggies. We cut all sugars from his diet only fruits every now and then. I thought this transition would be difficult for Evan because he was so used to eating the complete opposite. I wanted a healthier lifestyle for my family and so far so good. We don't eat like this everyday, but for the most part I try to cook three healthy and delicious meals for Evan. He loves his eggs with butter in the morning, yogurt and cheese are his favorite snacks, while carrots and chicken make the top of the list. His favorite fruits are mandarins and bananas. Oh, and on the weekend he loves to eat Pizza!! 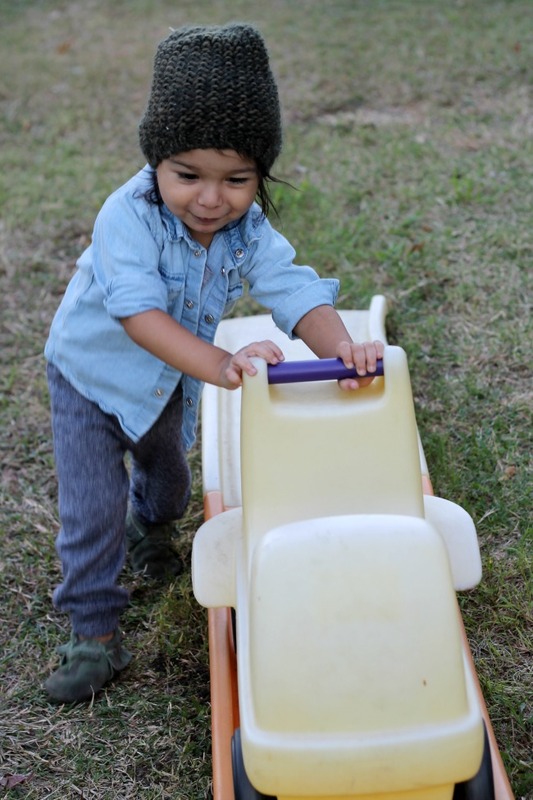 Favorite Toys/Activities: Evan loves to play throw and catch(that's what he calls it) and playing soccer. Dancing to his favorite beats while singing along rocks his day. He has an obsession with Chuck E. Cheese and LOVES going there. Drawing and reading are activities we do daily. I am currently working on a chalkboard wall for Evan. I just know he would love it. He loves changing his shoes at least twice a day(is that normal? 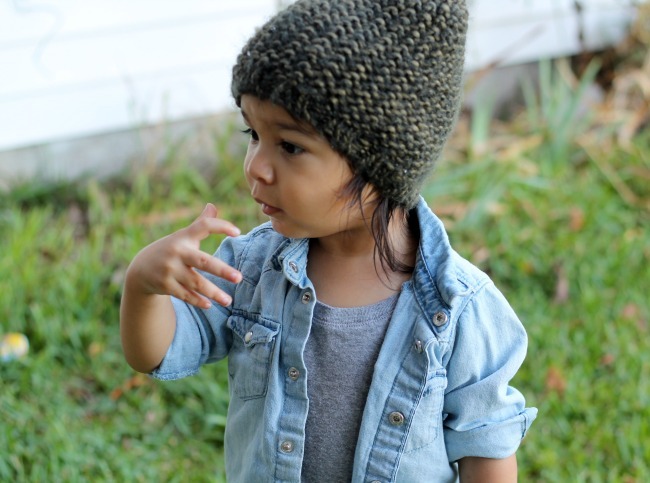 ha), wearing hats and sometimes just wearing cool socks entertain him.He enjoys taking trips to any store. He walks around and browses every aisle. I'm hoping he stays this calm forever! Hanging out with his cousins and being next to his mom all day!! Least Favorite Activity: Sharing!! For the most part he loves to share toys with his cousins, but these mini cousin fights are inevitable. When I hear him scream "mine" I know I need to run to avoid any hitting. Every now and then we get little tantrums and I'm crossing my fingers that they don't get worse. Overall, he is such a good little boy. I am so lucky to be his mama. 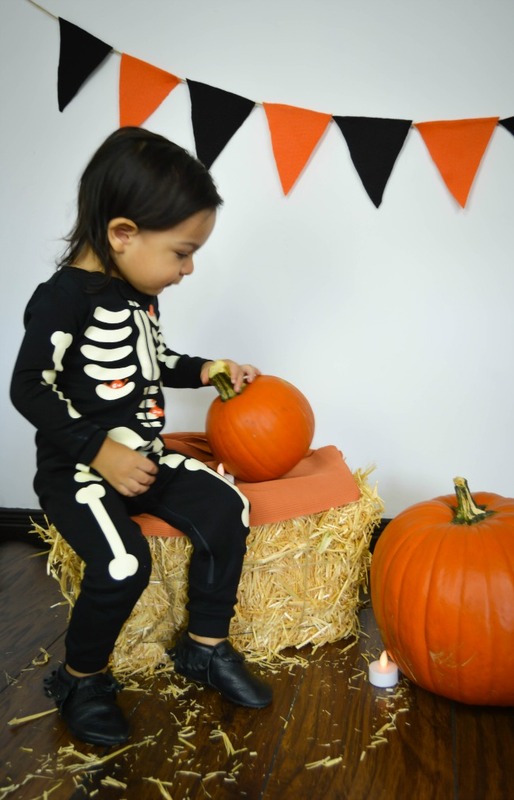 This is part of a sponsored collaboration with Fisher-Price® and Latina Mom Bloggers. However, all opinions expressed are my own. 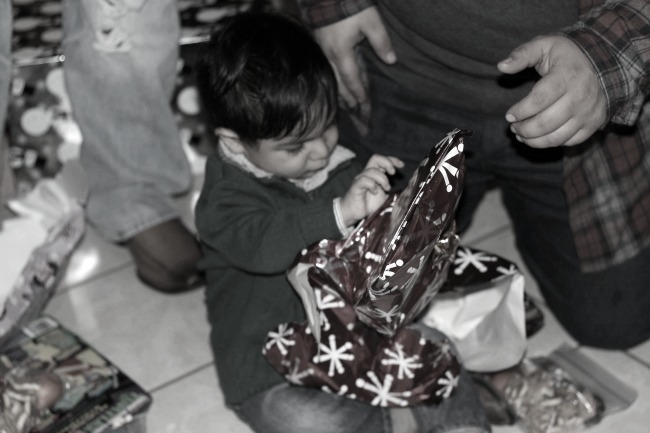 I remember how nervous and excited I was to plans Evan's first birthday. I wanted it to be perfect and memorable. I had so many scattered ideas and my greatest fear was to forget something or a specific detail that would ruin the whole party. Luckily everything came out amazing and now that Evan's second birthday is right around the corner my excitement is on another level. I know how special a first birthday is. 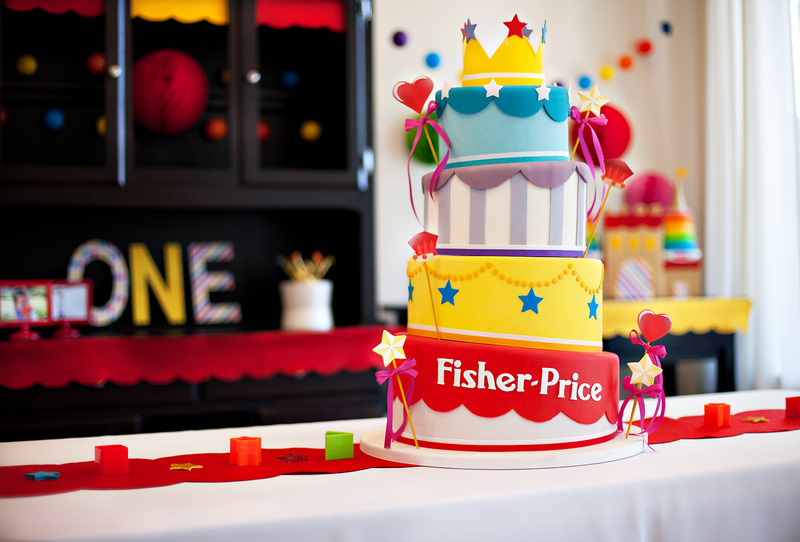 All moms want a huge birthday bash for their little one and now thanks to Fisher-Price® and their Mis Primeras Mañanitas campaign you have the opportunity to plan an epic first birthday. 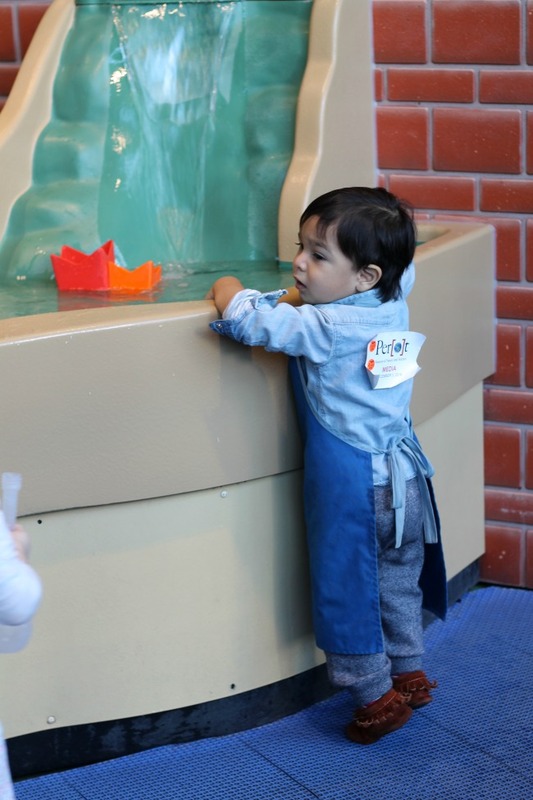 Mis Primeras Mañanitas was developed to be a resource hub for moms to access unique and creative ideas for her baby’s first birthday party. 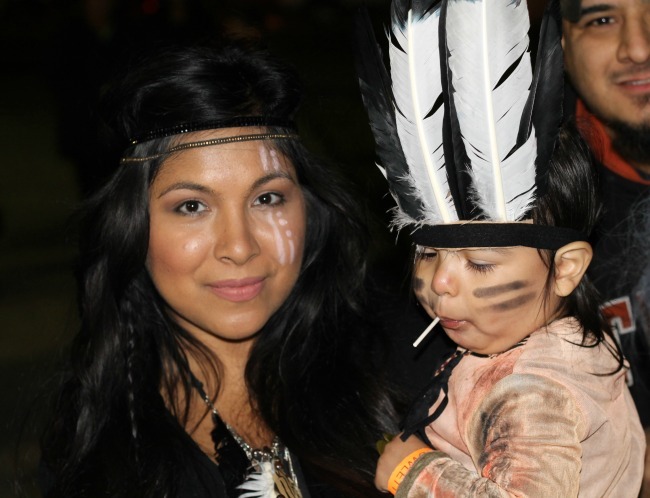 The campaign has been focusing on the culturally relevant and emotional connection to “Las Mañanitas”, a song that highlights the love and optimism that a mom feels on her baby’s special day. 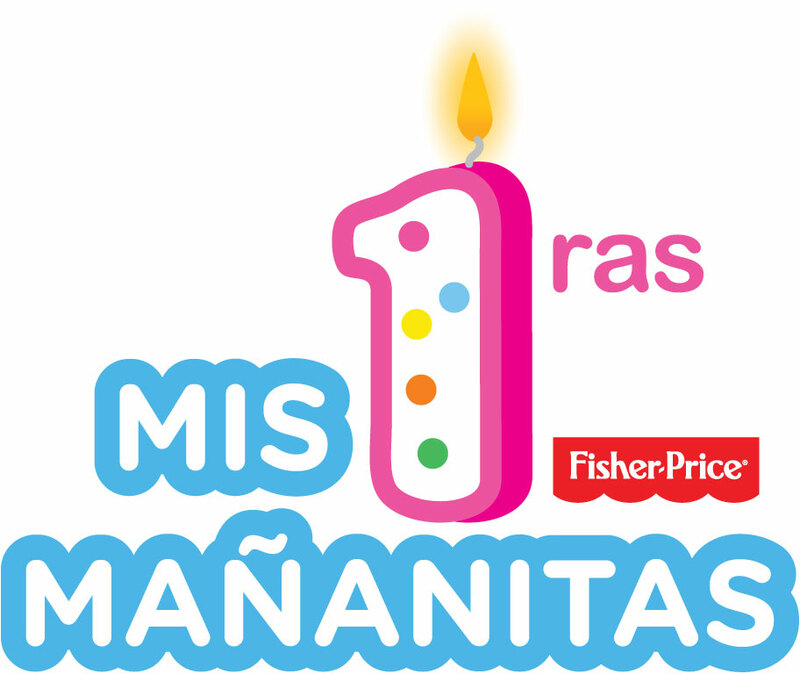 Fisher-Price® has been celebrating Mis Primeras Mañanitas campaign by launching Mis Primeras Mañanitas sweepstakes. 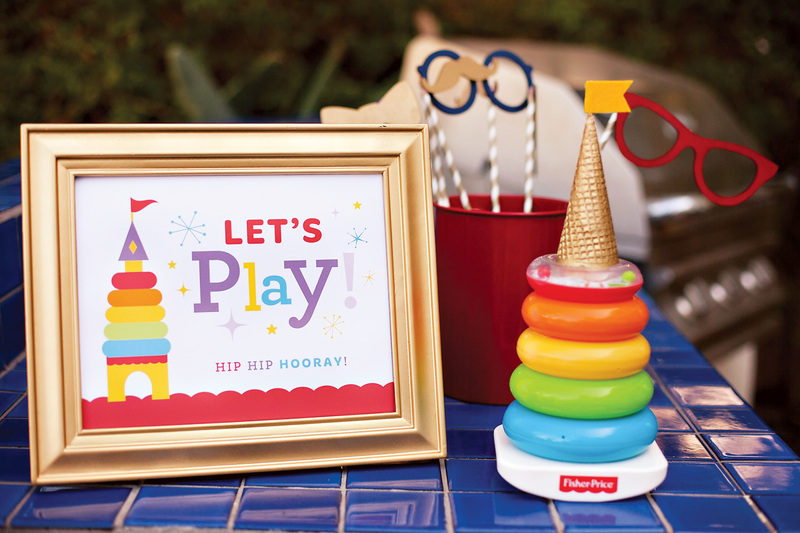 The lucky winners of this sweepstake will win a Birthday Prize pack, so that they can throw the most awesome first birthday party there is. 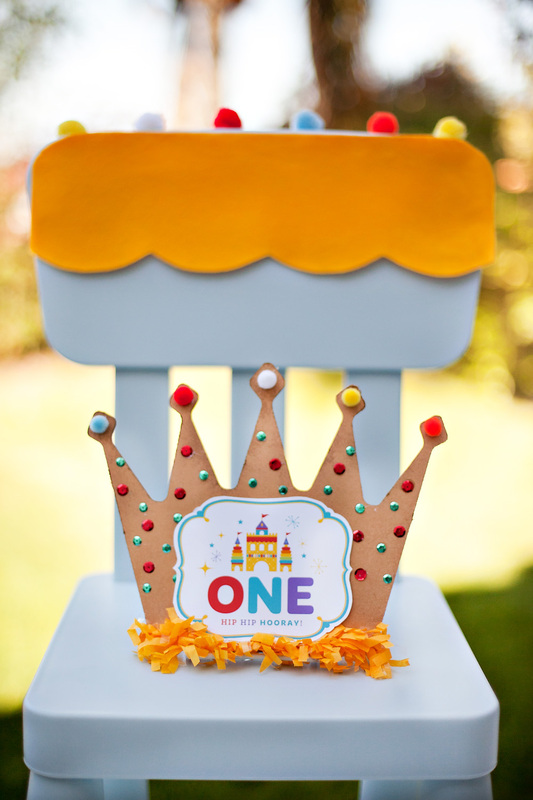 Aside from all the party items the winner will also receive Fisher-Price® toys including, Baby's First Blocks, Brilliant Basics™ Corn Popper®, Classic Xylophone, Little People ® Lil' Movers™ School Bus and so many more!! Mamas make sure you don't miss out on this. 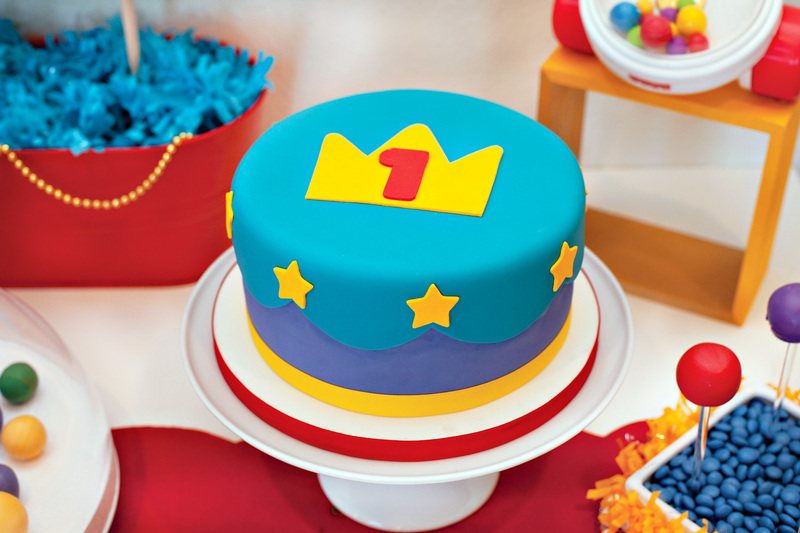 Enter now, not only to receive party planning tips and advice, but for coupons, recommendations on which Fisher-Price® toy is best suits your baby and of course the awesome monthly prizes. I am really loving the Hostess with the Mostess section where you will find creative and affordable decor by simply using arts and crafts. 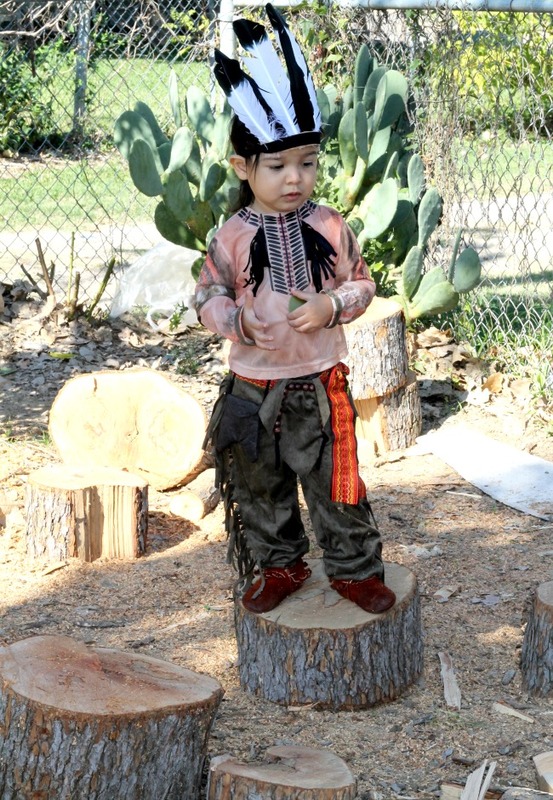 I already have a few ideas for Evan's second birthday thanks to this site. Make sure to follow the hashtag #FPMiPrimerCumple for more info!! My boyfriend works six days a week outside. Even though it's finally cooling down here in Texas some days are still crazy hot. Before he leaves for work and when he comes home from work he relies on Old Spice to keep him feeling fresh and clean. I know how important it is to keep a good hygiene and my boyfriend feels the same way. I can't deny that I haven't used his Old Spice products a few times. They all work and smell so great. He loves trying a different scent each time and he's always satisfied with each product. His favorite products are the body wash, deodorant and body spray. I think it's super cute when Evan sees his dad spraying the Old Spice body spray and wants his dad to spray some on him. I'm sure Evan will love Old Spice when he's older like his daddy. Old Spice, the manliest men’s grooming brand on the planet, is back to inform guys that when they use Old Spice anti-perspirant and deodorant, body wash + 2-in-1 shampoo and conditioner together the result is a manly, amazing, irresistible freshness from head to toes. My guy's perfect combination is definitely pizza and beer or bikes and boom boxes. He would also include himself in the 40% of guys choosing a hammer and nails to fix EVERYTHING, because he is anything else but a handy man. 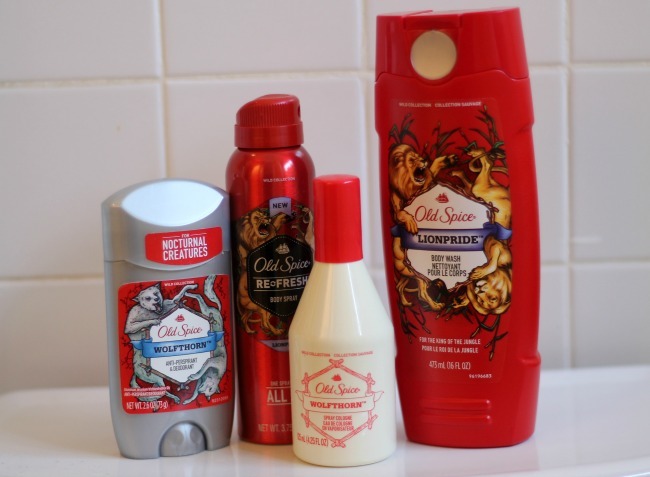 Too many great combinations, but one we can all agree with is the combo of Old Spice deodorant + body wash + shampoo is perfect. 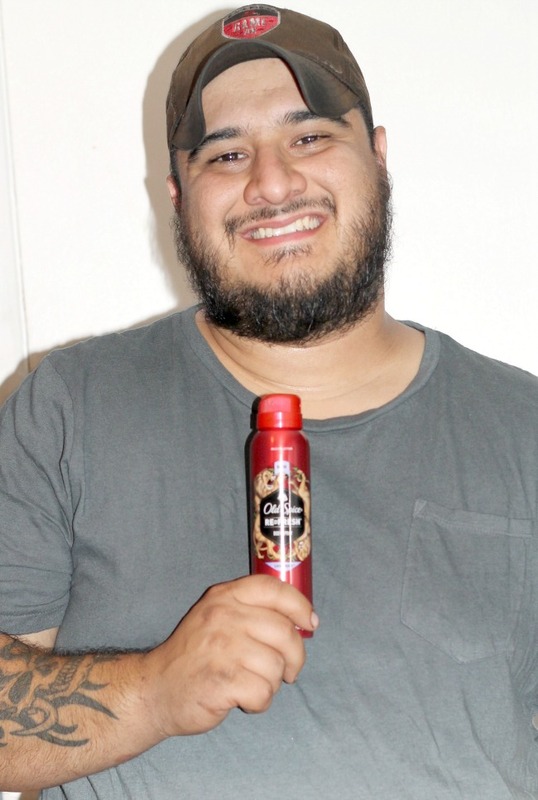 Some of the brand’s most popular scents - like Swagger, Fiji, Pure Sport and Wolfthorn - are available across a variety of products, such as anti-perspirant and deodorant, body wash, bar soap, 2-in-1 shampoo and conditioner and body spray - allowing guys to use their favorite scents from head to toes, literally. 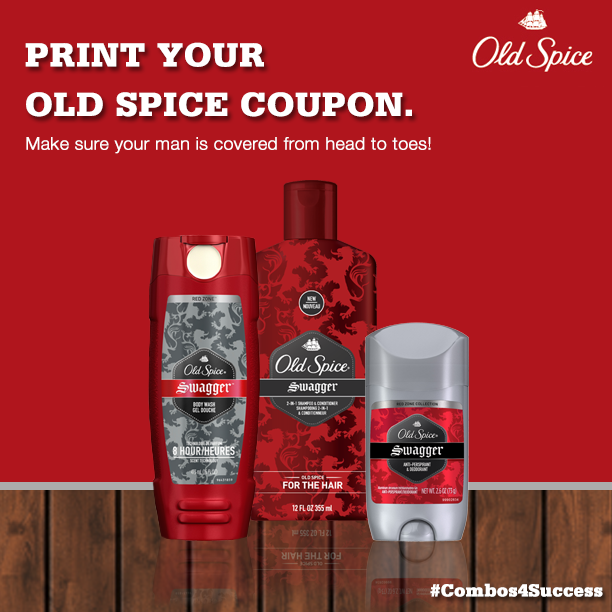 To experience manly head to toes freshness, download coupons from Old Spice here: Old Spice - Head to Toes Coupons!! For more updates on Old Spice visit their Facebook, Twitter and YouTube page.